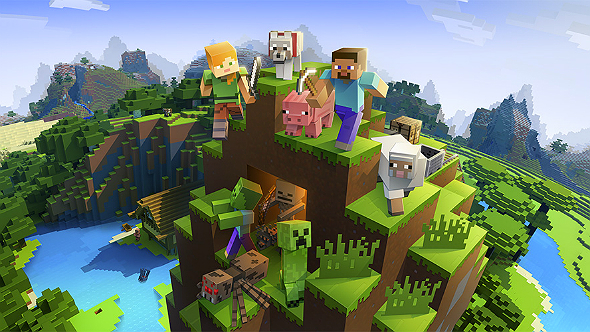 Mojang has revealed details regarding the upcoming Minecraft movie. In an announcement posted yesterday, the developer told players that a release date for the film has been set, but they’ll have to wait quite a while before they get to watch. The premiere date for the Minecraft movie is currently scheduled for March 4, 2022, which means that fans are going to be waiting nearly three years before it actually hits the big screens. This seems like an extremely long notice period, but I suppose for a film as big as Warner Bros is likely expecting this one to be, a long PR run is a smart move. The announcement also reveals a handful of details about the film’s plot. The story will focus on “a teenage girl and her unlikely group of adventurers.” Minecraft’s first endgame boss, the Ender Dragon will feature as the antagonist, and the film’s heroes will need to set out to prevent it from wreaking havoc on their blocky Overworld. The film also has a director on board, in the form of Peter Sollett. Mojang has also revealed that Minecraft movie will be live-action. Quite how that’ll work with the game’s iconically blocky style isn’t clear, but if the upcoming Detective Pikachu and Sonic movies are anything to go by, it’ll either be adorable or horrifying. My money’s on the latter. That assumes, of course, that Mojang’s basing the film’s artistic style on the classic version of the game. Last month, a modder added ray tracing to Minecraft, and I’m still impressed by how good it looks. If they wanted to work a live-action adaptation around that, I think I could get on board.